Issamay International Beauty Sdn. Bhd. takes pleasure in welcoming you to the Issamay International Beauty Sdn. Bhd. Issamay is a very special place and I am extremely proud of the educational programs and courses we offer and the worldwide reputation for excellence we have earned over the years. Issamay combines an outstanding curriculum in beauty education with an extremely dedicated and renowned panel of educators. 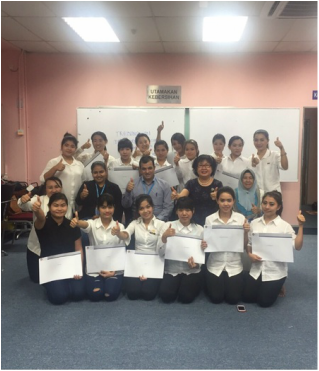 Issamay students consistently perform well in such challenging programs as the Sijil Kemahiran Malaysia (SKM), International Therapy Education Council UK (ITEC), International Federation of Professional Aromatherapists (IFPA), Confederation of Beauty Therapy and Cosmetology UK (CIBTAC), and most importantly the widely acclaimed Comite International d' Esthetique et deCosmetologie Diploma (CIDESCO). The following pages offer insights into our dynamic learning community, training programs and support services. Whether it is in the beauty laboratory, in the classroom or in the salon itself, our students rise to the expectation that they will challenge and exceed their own personal best – pushing themselves beyond what they have already achieved and in the process, developing the self-confidence to become caring, productive and contributing members of society. On a personal note, I believe one of the most striking features of Issamay is its friendliness and the wonderful welcome it extends to new students and visitors. I encourage you to visit us and see first hand our world class facilities and meet our outstanding teaching faculty. Why Should You Join Issamay International Beauty Sdn. Bhd.? Excellent standard and high passing rate since our first international examination in 1980’s ! Hence, we provide a solid foundation and superb future for your beauty career. We offer the widest nationally & internationally recognised diploma courses available. Free career counseling and professional job prospect for graduates both locally and abroad. We will also assist you in starting your own business. Free salon treatments training so as to prepare you for working in the industry. We provide "hands-on" training. Students can earn commission. Our dedicated and responsible teaching team and excellent learning environment will help you grow personally, intellectually and emotionally. Latest European professional skincare products and equipment are used. Reasonable tuition fees. No hidden fees & costs until completion of course. ​Although I have graduated from other beauty school, however I still feel that I have insufficient beauty knowledge. . Whether the school is famous or not, it does not matter. To me, most important is the quality of the tutor. In Joon's school, I have learned a lot of general knowledge; all my queries can be answered. Joon is very generous in sharing her knowledge. I am touched by her spirit. I have learned from Issamay School, the professional ethics and correct philosophy of life that an Aesthetician should have. Joon is like a sister to me, very friendly and helpful. Most important of all, I have learned from her that I should live a life in creating values; and be independent. Issamay : What course did you study? 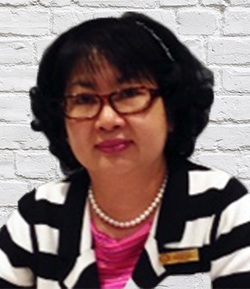 Loh Mei Son : Advanced Diplomas of CIDESCO, ITEC Beauty Specialist and Spa Treatments and CIBTAC. Issamay :How has studying at Issamay changed your life/career direction? Loh Mei Son :It has made my dreams a reality. Issamay has really equipped me for working in a five star professional beauty centre. Normally, other people hire a makeup artist to makeup on wedding day. ​ After graduated from Issamay, I did my own make up and to my family members on my wedding day. I will cherish these moments all my life. ​What a great pleasure to learn from Issamay.